think the athletic action is all in rio this year? you’d be wrong—dead wrong. 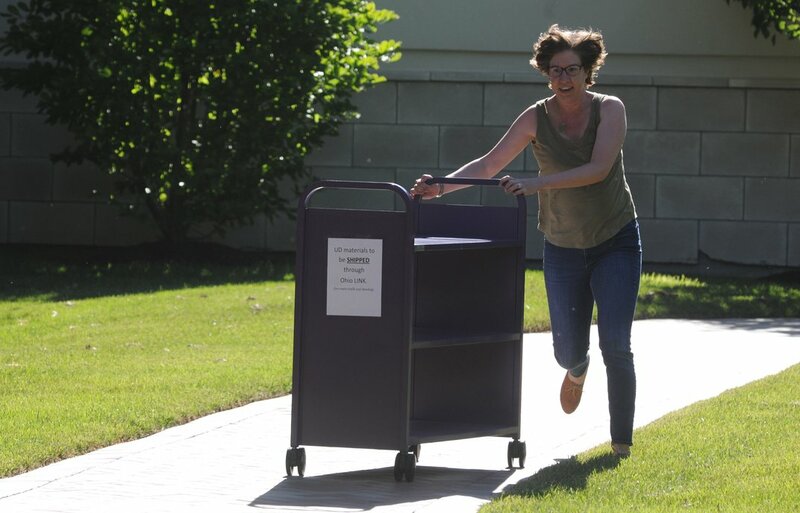 though you might not think so, librarians perform feats of near-olympian prowess every day as they lug books back and forth, tame tortuous piles of information and sustain long hours and complicated reference requests. 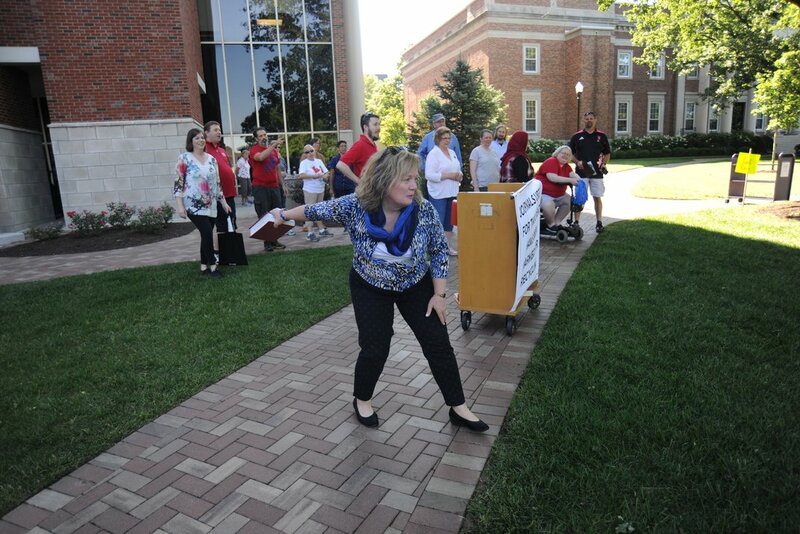 and as librarian katy kelly writes, they proved it in the university of dayton’s first-ever library olympics last week. the “olympic” event showcased the prowess of librarians by turning the mental into the physical. it’s an olympics year tradition in many libraries that aims to get people more engaged with their local library. some libraries invite the public into the library to compete in fun, bookish games, but in this case librarians themselves faced off in what may be the ultimate game of reference skill and cataloging competence. brains had a place next to all that brawn, too, as librarians participated in a tricky speed sorting event in which they had to put books in order by their library of congress call number. to top it all off, they ran around campus finding objects that corresponded to different lo call numbers. the winning team made off with the medal by a single point. 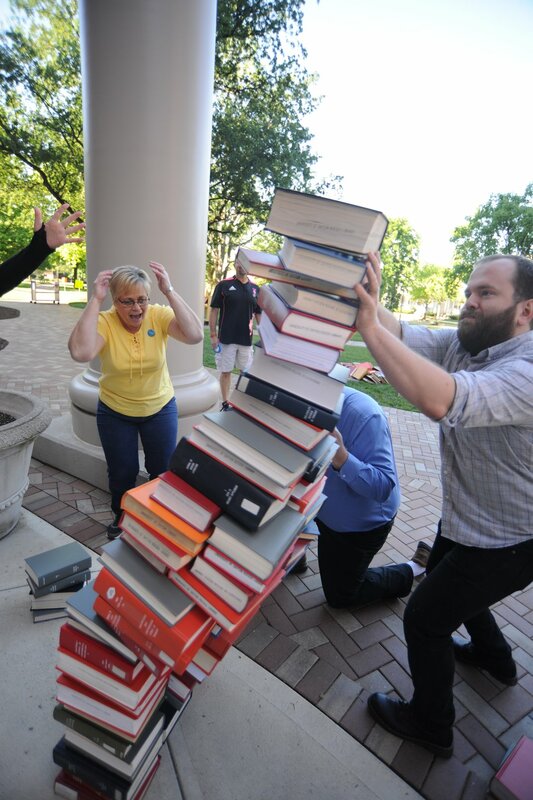 there’s another purpose for the games: as the university of dayton’s m. scheffler and a. black note, these olympics-like competitions don’t just test librarians’ knowledge, but highlight areas in which they might need more training. and the best librarians know that, like the most competitive athletes in the world, it never hurts to brush up on the basics. 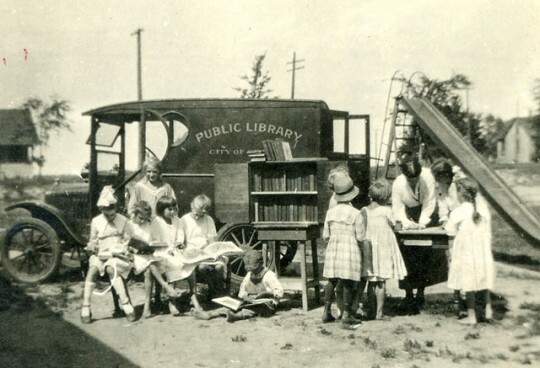 in front of the first saint paul public library bookmobile, 1917.